Are you unhappy with the appearance of your smile and would you like to have perfectly straight teeth in the shortest time possible? If wearing metal braces for two years concerns you, then discreet clear braces by Six Month Smiles may be the perfect treatment for you. Six Month Smiles is a unique American clear brace system that aims to straighten crowded, misaligned or crooked teeth quickly. Teenagers and adults alike can now enjoy the benefits of beautifully straight teeth in as little as six months. 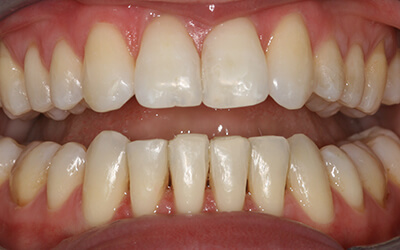 By gently aligning the teeth that are seen when you smile, the clear brace system allows you to smile with confidence. At Marchmont Dental Care, our treatment comes with added value because all procedures include removable and bonded retainers, as well as free teeth whitening|, which usually costs £350. Six month Smiles is even more affordable with our 0% interest-free and low-cost finance options. Straightens teeth so quickly as it focusses on the teeth you see in your smile and does not making significant bite changes. For further information on Six Month Smiles in Edinburgh please contact a member of the Marchmont Dental Care team on 0131 229 5542 or fill in our enquiry form here. How can Six Month Smiles be more comfortable to wear than fixed braces? Low force is used to gently move your teeth into position. Regular orthodontic mechanics is used with Six Month Smiles but there is more emphasis on the cosmetic appearance of your teeth rather than your bite. 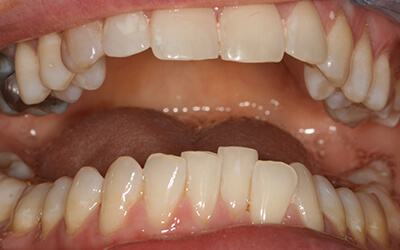 This means only the teeth that are seen when you smile are moved, which makes the entire process more comfortable. Will it really take just six months? 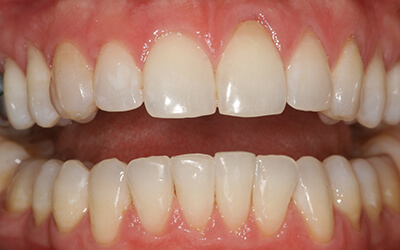 Most patients get their perfect smile in only six months. Each case is unique and some patients can expect the treatment to take longer but on average, the treatment really does take just six months. 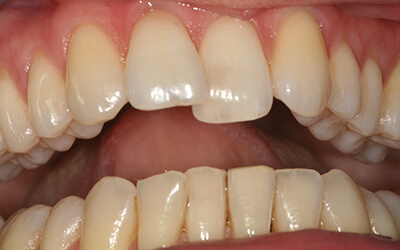 The time it takes to correct teeth is one of the main advantages over fixed braces. A single arch costs £2,000 and dual arch treatment costs £3,000. Both single and dual arch treatments include removable AND bonded retainers to keep your teeth in their new desirable position and FREE TEETH WHITENING (usually £350). Please call us on 0131 229 5542 or enquire online as you will need to book an assessment. Remember to talk to us about our 0% interest-free finance and low-cost finance options. Book a Six Month Smiles Consultation - contact the practice on 0131 229 5542 or fill in our enquiry form here.